So many of us wish to stay around the airport while visiting a city on work, or during long layovers. While in Hyderabad, turn to one of these comfy hotels in Shamshabad, that offer all the basic amenities you might need during your stay, without burning a hole in your wallets. Located 10 minutes away from the Rajiv Gandhi International Airport, Hotel Hyderabad Grand offers luxurious living at reasonable prices. 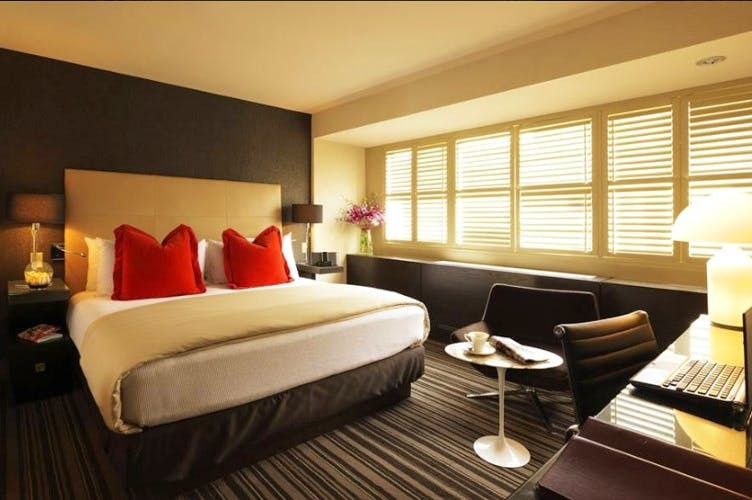 You get to stay in modern rooms with plush interiors, have 24 hour room service, enjoy complimentary breakfast and Wi-fi. The hotel also has a conference hall for your business needs. Sorted, isn't it? This hotel is in a quiet neighbourhood, and offers a view of the international airport. Since it is only an eight minute drive from the airport, you shall not only reach the airport in time for your flight, but also have a comfortable stay. The amenities are decent (although, not really of international standards), and the rooms are spacious. Closest in proximity to the airport, Novotel Hyderabad Airport is great for transit stays. This hotel has 11 suites and 305 rooms for you to pick from. You can have pool views, access to gym, spa and conference rooms here, and also enjoy multi cuisine food at their in house restaurants. Besides, every room is equipped with a LCD TV, internet, a mini bar, and an ironing board. Yaaas! Surrounded by a lot of greenery, Hotel Royale Jade makes for a peaceful stay. They have a pool, complimentary drop off to the airport, jacuzzi, mini theatre, and breakfast services too. The best part is that this hotel is pet friendly. So, the next time you're visiting with your puppy poo, you know where to put up. This is an apartment converted into a hotel, and thus makes for a homely stay. They have about 18 rooms which are clean, and the staff is friendly. It is only 10 minutes away from the airport, and also has free Wi-fi, flat screen TV and free continental breakfast at pocket friendly prices.